Remodelling of two apartments. 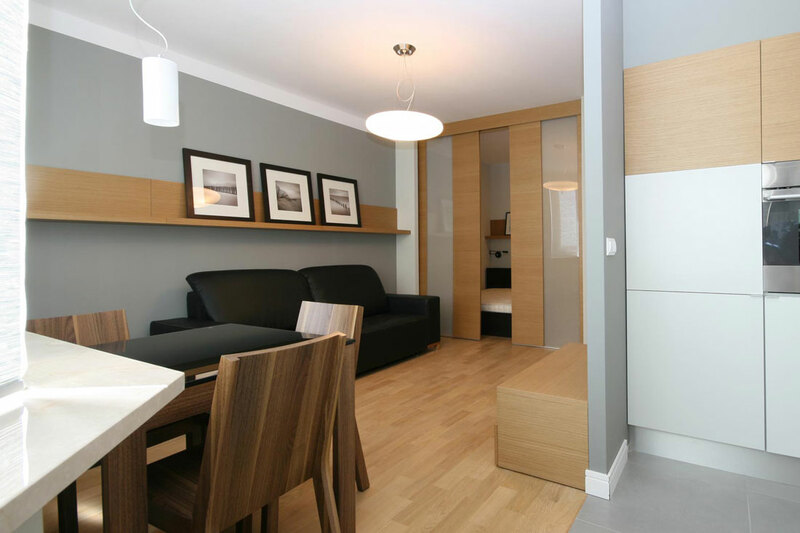 One room a studio into a one bedroom, high-spec, apartment to appeal to high-end rental market. The other remodelling internal layout and interior design. 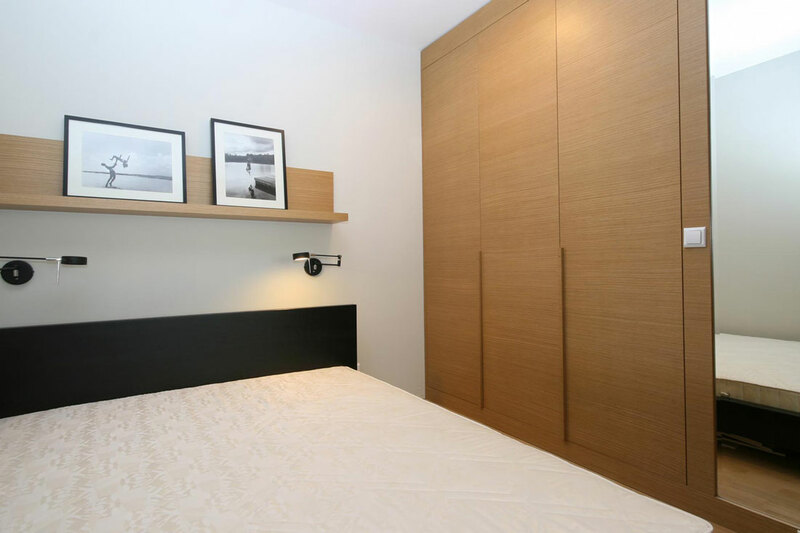 Complete redesign of studio flat to improve layout & proportions and add an all important new bedroom turning the property into a highly sought-after apartment to market to young professionals. 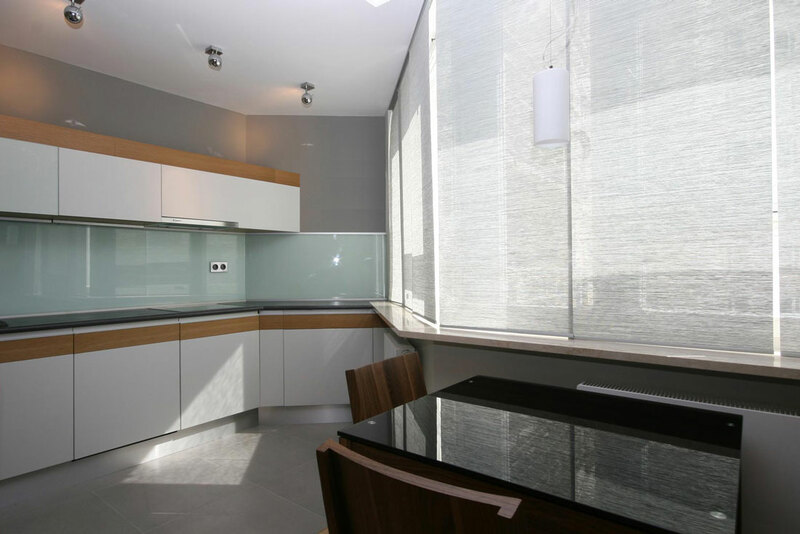 Full height sliding doors, concealed within the wall, provide privacy and maximise the use of space. The open plan living space is divided into three zones: kitchen, dining / working and relaxing. Attention to detail in such a small apartment is paramount. Storage solutions, wardrobes and cupboards are all custom built to blend in and keep the space clutter free. 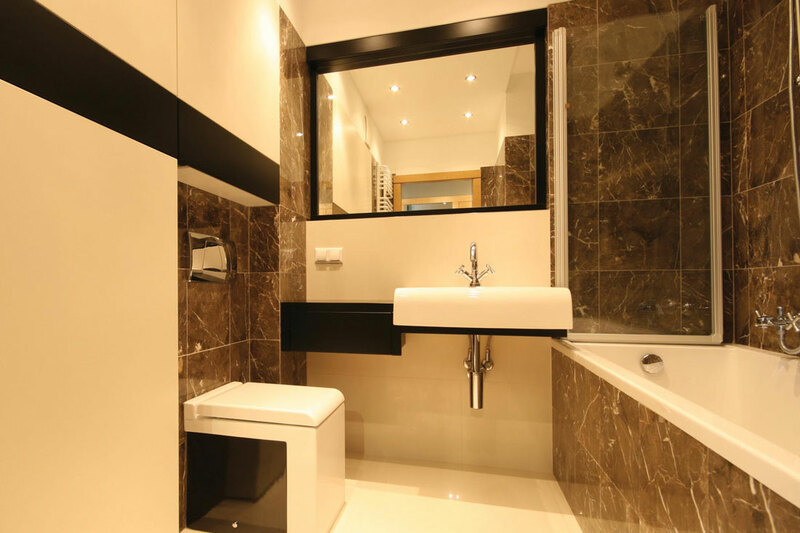 The bathroom combines sleek Italian furniture with warm marble stone to great effect. The tiles give warmth, the curvaceous furniture softening the modern look. Bespoke oak carpentry, natural materials and off-whites used throughout to give a contemporary, but homely atmosphere. Key Features: Thoughtful use of space. Natural material and neutral colours used throughout. Bespoke carpentry. Designer features and fittings.